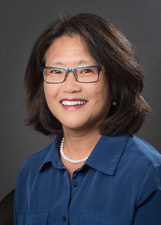 April C. Lee, M.D. is the Director of the Division of Adolescent Medicine at Staten Island University Hospital. She is a dedicated clinician, educator, and researcher in the field of Adolescent Medicine. She is a Fellow of the American Academy of Pediatrics (AAP), involved in the Section of Adolescent Health, Council on School Health and New York Committee of Adolescence. She is also a Fellow of the Society for Adolescent Health and Medicine (SAHM). She is the medical director for both the School Health Center at New Dorp High School and the School Health & Wellness Center at Port Richmond High School. Under her leadership, there has been expansive growth within the Division of Adolescent Medicine which coordinates several grant funded programs including the Family Grant Program and Comprehensive Adolescent Pregnancy Prevention Program. These programs provide opportunities to increase existing clinical services to underserved populations. These programs also provide opportunities to develop prevention and education services to adolescent and young adult patients in the community.